Learn the cost of child support in paying for college. I have been divorced for more than 10 years and receive a small amount of child support from my ex-husband. At the time of the divorce, I agreed to let my him claim my daughter on his income tax return during the odd years. He does not cooperate with any other expenses, so the bulk falls on me. He is anxiously waiting for next year when my daughter turns 18 to stop giving me child support. However, the divorce papers actually require my ex-husband to provide child support until my daughter graduates from college. He seems to have forgotten this little detail. Am I better off allowing him to end child support at age 18 so that I can claim her on my income tax returns, or should I seek to enforce the divorce decree? I do not want him to get a big refund for claiming my daughter on his income tax when I'm the one providing most of her support. — Viviana S. The parent with whom the child lived the most during the last twelve months is the one responsible for completing the Free Application for Federal Student Aid (FAFSA). If the child lived equally with both parents, the parent who provided more support to the child is responsible for completing the FAFSA. This is based on the actual support provided, not the parent who claims the child as an exemption on their federal income tax return. So regardless of whether you or your ex-husband claims your daughter as an exemption, you will still be responsible for completing the FAFSA since she lives with you and gets most of her support from you. Each exemption reduces taxable income on your federal income tax return by $4,050 (2017 figures). The financial benefit of the reduction in taxable income depends on your tax bracket. If you are in the 25% tax bracket, the exemption reduces tax liability by 25% of $3,650 = $1,012.50. If you are in the 15% tax bracket, it reduces tax liability by $607.50. (Note that there may be a similar but smaller financial benefit from claiming the exemption on your state income tax return.) You should also consider the financial benefit from the Hope Scholarship tax credit in your calculations. In order to claim the Hope Scholarship based on the qualified tuition and related expenses that you pay for your daughter's college education, you must list your daughter as an exemption on your federal income tax return. The maximum Hope Scholarship tax credit is $2,500. 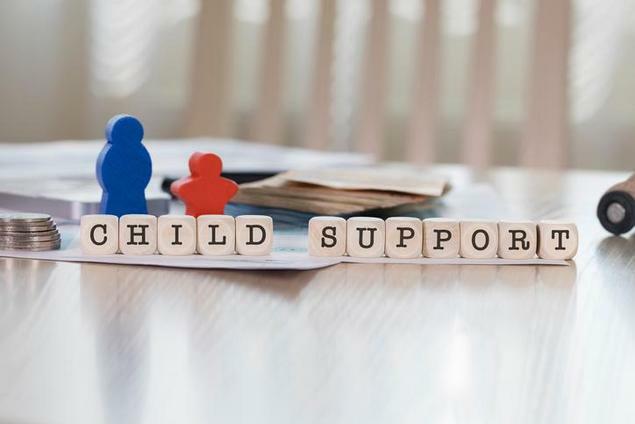 From a financial perspective, if the annual child support payments exceed these reductions in tax liability, you are better off enforcing the child support requirements of the divorce decree. From a legal perspective, however, you may have no choice but to enforce the divorce decree. Child support is the result of a court order entered by the judge for the benefit of the child, not the parent. You do not necessarily have the legal standing to waive your daughter's rights. You may need to seek a modification of that order from the court. You should consult with a qualified attorney if you want to waive the remaining child support payments in exchange for the exemptions. I'm behind about $280 in child support. I applied for financial aid for school. Will my past due balance of $280 on child support affect my financial aid? Will the $280 be taken out of my financial aid? Will I even be awarded a Pell grant if I owe $280 in child support? My EFC is 0. — Tabatha M. Under current federal law, a failure to pay child support does not directly affect eligibility for the Pell Grant, nor will the Pell Grant be diverted to pay past due child support obligations. Some state education grants, on the other hand, may be withheld if you are more than 30 days in arrears in court-ordered child support. Child support payments may have an indirect impact on eligibility for the Pell Grant. If you provide more than half of your child's support, you can count the child in your household size on the Free Application for Federal Student Aid (FAFSA) even if the child does not live with you. (The support test is based on your actual child support payments, not the amount you owe.) This will reduce your total income by about $4,200. If you provide less than half support to the child, you do not get to count the child in household size. Instead, you report your actual child support payments on the FAFSA, which has the effect of reducing total income by the amount of your actual child support payments. Thus paying your full child support obligations can increase your eligibility for the Pell Grant. I am a single applicant with three people living in my household under my support, my girlfriend and her two children. The kids do not receive support from their father, only me, but I am not their legal guardian. Mom (my girlfriend) does not work, so I am the sole provider for all four of us. Can I count them on my FAFSA? — Jason M. If they live with you and you provide more than half their support, you can count the mother and her children on your FAFSA even if you are not married to the mother.